There may not be any immediate plans for another Buffalo Springfield reunion but fans of the influential group have other reasons to be happy. A cover story by founding member Richie Furay in the February issue of Mojo magazine provides lots of inside information and insight on Buffalo Springfield’s short but impressive career. 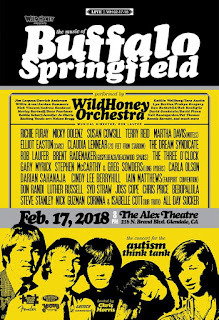 Plus, people who live on the west coast will be able to see an all-star tribute concert featuring Furay and special guests this Saturday, February 17 at the Alex Theatre Glendale, CA. In Mojo, Furay recalls his early days of sharing an apartment with Stephen Stills on Fountain Boulevard in Hollywood, and playing double bills with The Grassroots, Love, and The Doors in 1966 at the Whiskey A-Go-Go. He met his wife Nancy at The Whiskey back then and they’re still married to this day. Members came and went throughout Buffalo Springfield’s two-year run, but Furay believes the first incarnation of himself, Neil Young, Stephen Stills, Dewey Martin, and Bruce Palmer was the best. 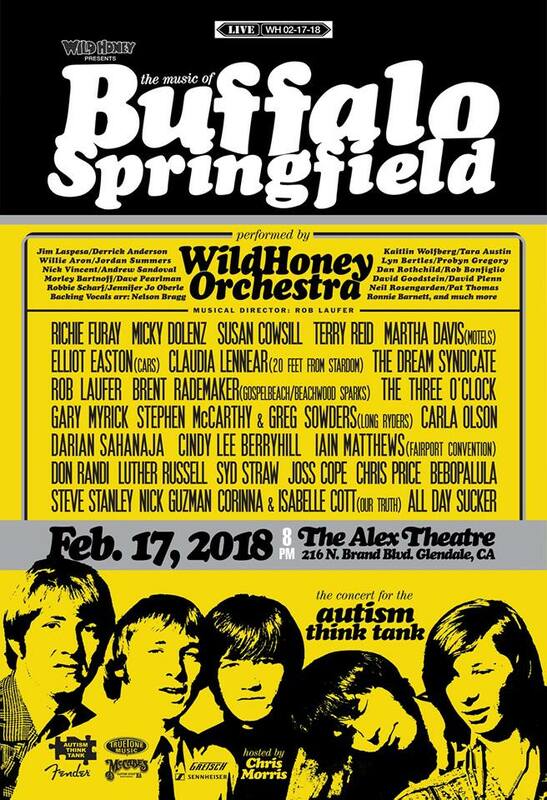 For the three-hour tribute concert, Furay is joining forces with The Wild Honey Foundation, an organization that does very cool things on a regular basis to raise funds for autism research. Past shows have honored The Band, The Beatles, The Hollies, and Big Star by bringing together well-known members of the Los Angeles music scene. The Buffalo Springfield event will include Paisley Underground vets The Three O’Clock and The Dream Syndicate; Terry Reid, Micky Dolenz; Susan Cowsill; Carlene Carter; Elliot Easton; Syd Straw; Martha Davis; Gary Myrick; Brent Rademaker; Carla Olson; Cindy Lee Berryhill; Darian Sahanaja; Claudia Lennear; and Iain Matthews. These guests will be backed by the Wild Honey Orchestra, which includes Derrick Anderson; Jim Laspesa; Andrew Sandoval, Probyn Gregory, and several other musicians. Bib Laufer will serve as Musical Director. Tickets range from $110 to $20. 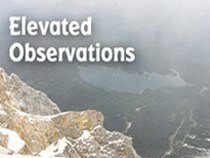 Proceeds will help the Autism Think Tank, an organization devoted to funding autism research. If past shows are any indication, those of us who can’t make to L.A. in person will be able to watch clips on the Wild Honey Foundation Facebook page.